Alcatel-Lucent is a master of telecommunications equipment and has recently become part of the larger Nokia network. However, its legacy in smart craftsmanship and reliability still live on, especially thanks to gear like the WaveStar® ADM 16/1. The Alcatel-Lucent WaveStar ADM 16/1 is a compact, high-capacity multiplexer and transport system that can multiplex the SDH and PDH bit rates up to STM-16 levels of 2.5 Gbps. It was initially designed to be a cost-effective and future-proof network element that supports STM-4 and -1 networks as well as the scaled STM-16 applications. The refurbished Alcatel-Lucent WaveStar ADM 16/1 that Worldwide Supply can deliver to your network is poised to inject significant power into your deployment right where your network needs it. A compact design, simple installation, design for easy maintenance, application flexibility and significant protections made it an instant success when first deployed — and it has maintained a place in many networks today. The Alcatel-Lucent WaveStar ADM 16/1 models we offer are supported by Navis Optical Management Solutions, though many different network and element-level management systems are also available for control. Find the right model for you below as you explore everything this third-generation SDH transport system has to offer for your network. It is backwards-compatible with first- and second-generation SDH systems. 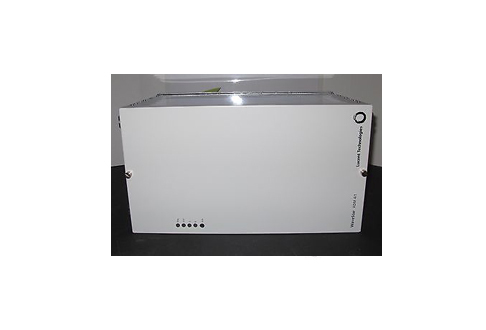 ALCATEL-LUCENT WAVESTAR ADM-16/1 PADDLE BOARD 2MBIT/S 120 PROT.